"measurement & calibration where & when needed"
API services provide ISO 17025 accredited portable metrology inspection and calibration products & services. API offers on-site prototype, 1st article and production measurement, reverse engineering and modeling, inspection and alignments services. A2LA accredited ISO 17025 compliant. API offers on-site machine tool and robot calibration and volumetric error correction services. Laser trackers can be laboratory calibrated or in field accuracy certified. 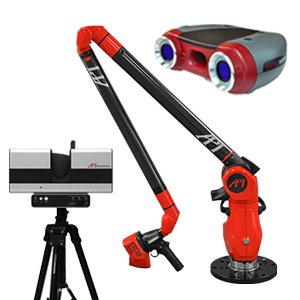 API, recognizing manufacturing industry’s increasing demand for part measurement automation, with a higher degree of accuracy, has developed its Smart Factory Inspection System with true 6DoF real-time 3D robotic measurement incorporating its proven metrology technology and calibration components. API is a leading provider of precision measurement & calibration services. 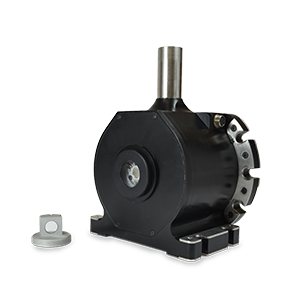 Services include reverse engineering, first article inspection, machine tool calibration, and laser tracker calibration. API offers an extensive inventory inventory of certified pre-owned laser tracker and calibration equipment. Rigorously tested, calibrated and supplied with a comprehensive warranty. API was born in the sector as laser tracker inventor and today offers measuring expertise to perform complex alignments, measurements of tooling, assemblies and components. API offers a range of measurement services to the sector including equipment alignment, robot calibration, tooling inspection, prototype, and production measurements. API offers gas, steam, hydro, nuclear and wind turbine inspection and alignments together with alignment consultation services for power generation companies globally. API provides heavy equipment manufacturers laser tracker dimensional measurement services for large fabrications and assemblies together with large CNC machine tool calibration. API’s comprehensive portfolio of machine tool diagnosis, alignment and calibration services ensure manufacturing equipment and their processes remain under control. API has considerable experience in managing confidential contracts offering a portfolio of measurement, alignment and calibration services to this sensitive and critical sector. API industrial robot accuracy verification and calibration software and services are performed on-site to aid equipment run-off or to improve installed robot accuracy.